Building Your Own Path to Success” will be broadcast on FB live on the Data Science and Analytics Association (DSAA) FB group page (https://www.facebook.com/groups/OU.datascience/). If you are already a member of the DSAA then please participate, if you are not a member, but are interested, please check out the FB page today. 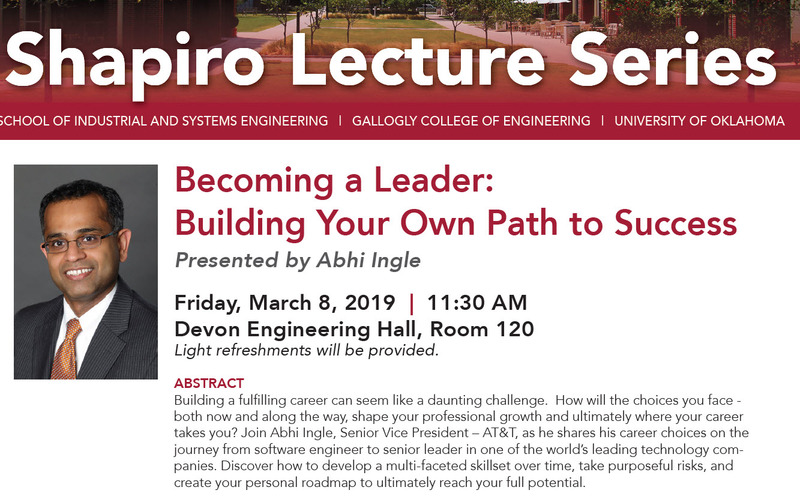 In the lecture, Abhi Ingle shares his career choices on the journey from software engineer to senior leader in one of the world’s leading technology companies. He is responsible in developing and managing all go-to-market strategies and industry programs to drive networking services, mobility, cloud and cybersecurity solutions for business and government customers. He also leads distribution and digital strategy for AT&T Business, operating all of AT&T’s business digital platforms and properties. If you are on-campus, join us at Devon Energy Hall, 120 for the seminar in-person; if not, please join the FB live broadcast and discover how to develop a multi-faceted skillset over time, take purposeful risks, and create your personal roadmap to ultimately reach your full potential. American Fidelity Now Hiring Data Scientists. Listed as one of the 100 Best Companies to Work for in the country by Fortune magazine and the Great Place to Work Institute, American Fidelity is looking for Data Scientists to join their Enterprise data team and their recruiters have contacted the University of Oklahoma, and the MS Data Science and Analytics program in particular, looking for candidates. If you are interested you can (1) Apply for the job here, and/or (2) contact Dr. Nicholson for more information, and/or (3) if you are a member of the OU Data Science and Analytics Association (BTW free to join and cool people to know!) then you can go to the DSAA Facebook page where I will post the recruiter’s contact information. Work with large, complex data sets using to solve difficult, non-routine analysis problems, applying advanced analytical methods as needed to complete end-to-end analysis that includes data gathering and requirements specification, processing, analysis, ongoing deliverables, and presentations. Engineer analysis pipelines interactively to provide insights at scale. Develop comprehensive understanding of data structures and metrics, advocating for changes where needed in systems, products and processes. 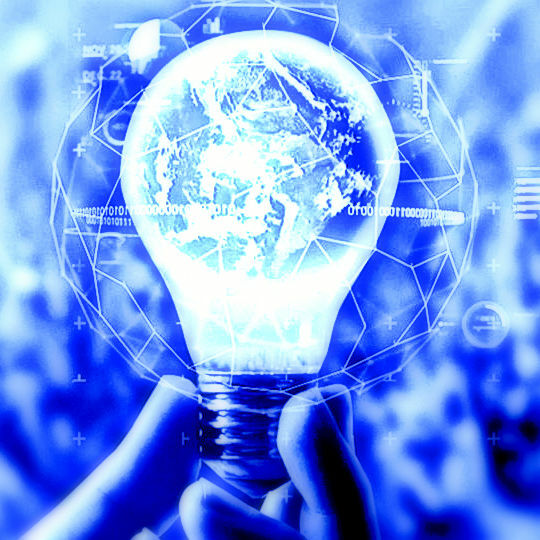 Research and engineer analysis, forecasting, machine learning, deep learning, neural networks, artificial intelligence and optimization methods to improve the quality of products; example application areas include customer segmentation modeling and end-user behavioral modeling/prediction. Expert in database languages (e.g., SQL). Experience creating meaningful data visualizations and/or interactive dashboards that communicate findings and business impacts using platforms such as Tableau, Qlik, Power BI, RShiny, plotly, and d3.js. Expert in multiple major programming language (C/C++. C#, Java, Python, etc.) or optimization modeling languages (AMPL, GAMS, AIMMS, OPL, etc.) Note from Professor Nicholson: What! ISE/DSA 5113 — Python and AMPL! Experience with data science methods related to data architecture, data cleaning, data and feature engineering, and predictive analytics. Note from Professor Nicholson: ISE/DSA 5103 — you got this! Strong background in modeling large scale discrete, nonlinear or stochastic mathematical optimization models and engineering efficient optimization algorithms. Familiarity with natural language processing, machine learning, statistical modeling, predictive modeling, and hypothesis testing. Familiarity working with both structured and unstructured data, including textual data. Note from Professor Nicholson: Sai Bhavaraju just gave a seminar on NLP with unstructured text data for the OU Data Science and Analytics Association! Ability to work in a fast-paced environment. Note from Professor Nicholson: If you survived ISE/DSA 5103 and/or 5113, then you are probably ready for this! Exceptionally strong communication skills, including written, verbal and listening which can be deployed successfully when addressing entry level Colleagues to management to senior executives. This includes the ability to speak confidently in both business and technological surroundings and appropriately transliterate between the two. Emphasis added by Professor Nicholson. Exceptional analytical thinking and problem-solving skills. Emphasis added by Professor Nicholson. Exceptional understanding of business and business strategy. Exceptional organizational skill and ability to work autonomously.